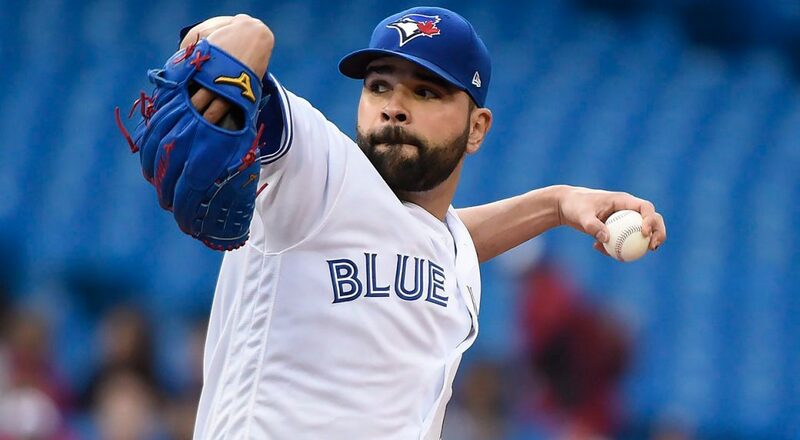 MLB placed Osuna on administrative leave Tuesday, and the Blue Jays released a statement backing up the league's decision while reviewing the situation. Major League Baseball has extended the timeline for making a decision regarding any discipline for Blue Jays pitcher Roberto Osuna, stemming from his arrest in Toronto for alleged assault. The commissioner's office announced the extension Monday. It appears the administrative leave will be extended on a weekly basis until at least Osuna's first scheduled court date in Toronto on June 18, unless there's a resolution in the case prior to that, sources told TSN. Osuna remains on the restricted list and continues to receive his $5.3 million salary but is ineligible to play. The 23-year-old Osuna is 0-0 with nine saves and a 2.93 ERA in 15 games this season. He has recorded 104 saves, including 39 past year, in his three seasons with the Jays.